- S/ land National Vision 2030/ S.Land development plan 2012-16. The Ministery of Planning and Development recently released two documents which came to our attention. These are the first comprehensive plans which have been released under the guise of the Silanyo administration. On a first read they are quite good. But plans are quite easy to assemble. You grab a bunch of donor-friendly buzzwords and you compile them into a cohesive couple of paragraphs. The hard work comes in implementing the plans. Last week, after four years of JNA failure package, was another a big ceremony held at presidential palace, in Hargeysa, marked on wednesday 27th October 2011, the last day of the government’s announcement S/ land $ 927million Draft of Somaliland National Development Plan with the presence of ministerial heads, many officials and International Agencies in preparations for long term vision extended to 2030 process of Reconstruction and Development Plan earmarked for Somaliland for the next five years at a estimation cost of $927.27 million. Today is one of my happiest days since got I matured of following Somaliland affairs for decades, in this week, when I saw and heard the announcement of five year developments plan including financial management, budget control and accountability. This is without doubt will equate to a staggering amount of increasing revenues and will follow decent live for Somaliland people. As the nation looks forward to the upcoming elections, I write this article to remind the Parties of their responsibility to the country. Conducting a coherent election, in a transparent manner, will no doubt strengthen our case for recognition and nation building but I say “what is recognition if our institutions are not robust and transparent”? The answer to that question is that we will be like any other failed African nation, and that is not good enough. Somaliland must reform its institutions firstly; so that we can utilize every financial opportunity effectively and secondly so that corruption can be defeated at all levels. In this article I wish to highlight the necessary steps, which can be taken by the present or future government to build the Somaliland Central Bank. Looking back in yesterday, I can still remember the feelings of excitement as parliament approved the amendment of Art.33.4 (Law No. 20). The years of being restricted from participating Local Council Elections were over. The struggle for youth participation movement was indeed remarkable and merit of admiration. It continues to be celebrated throughout Somaliland. Today, it is wonderful to see that the campaign successes and moves on faster than ever before. SONYO the torch of hope you lit in this year glows brightness, vastness and intensity. Youth in Somaliland will have a big reason to smile. They will certainly have a reason to celebrate because thousands of young Somalilander’s who often suffer political barriers will have the chance to participate the upcoming Local Council Elections. India made history when she liberated and recognized the Republic of Bangladesh despite fierce international opposition from some of the cold-war superpowers. India took that strategic step because that was the right thing to do and suited India’s long-term geopolitical interests as well as international humanitarian concerns. Though the doctrine of international intervention for safeguarding the responsibility to protect had not been codified by the UNGA or the UNSC at that time; India did act according to the spirit of the responsibility to protect (R2P). Time has come for India to assert herself yet again and recognize diplomatically the break-away Republic of Somaliland on the horn of Africa as it suits India’s geopolitical interests as well as the international humanitarian concerns. Lack of a functioning central government in Somalia since the ouster of the Muhammed Siad Barre government on January 26 1991 has led to anarchy, clan/tribal warfare and war-lordism. Because of my travels, I was not at all surprised to discover that the telecommunications industry is alive and booming in Somaliland. In fact, all of Africa is becoming saturated with cellphones, and mobile companies and phone manufacturers are paying close attention. An emerging African middle class combined with the increasingly low prices of mobile phones mean that the continent now offers millions of potential customers in a large market that is only beginning to be tapped. Somaliland is an ideal example of why the telecommunications industry is booming in Africa. In the late 1980’s, Siad Barre, the repressive dictator of the Somali Republic, launched repeated air attacks on Hargeisa. The bombing completely destroyed most of the city and crippled the infrastructure and development of the northern region. I doubt that telephone poles had been erected in the country back then, but if any did exist, Barre’s assault surely took them out. According to Khadar Nour, a child protection activist in the capital, Hargeisa, children are regularly detained for minor offences and "end up being detained with adults because there are no rehabilitation centres for children or prisons for children". Somaliland passed a juvenile justice law in 2007 but is yet to implement it due to what government officials say are financial constraints and lack of knowledge of the law by the responsible institutions and their staff. Edna Adan will give a presentation at the upcoming TED conference in Geneva about her work in service to the women of Somaliland. She will discuss how she came home to Hargeisa in 1997 from a career at the World Health Organization to find Somaliland’s health care system in ruins. “The ten year Civil war from 1982 to 1991 caused the death of a quarter million of our people and destroyed 95% of the country including schools and hospitals.” And so she decided to build a hospital using her own life savings and her pension. With our limited resources, we know that country-wide coverage with doctors and graduate midwives will not be possible for a long time which is why we have chosen a low-tech, low-cost and time-effective solution: To train as many Community Midwives as we can, and train them now as a priority! ORMISTON'S Kris McBride is embarking on a 1800km walk across Egypt in January to raise awareness and funding for a maternity hospital in Hargeisa. Kris said growing up with five sisters provided impetus for the trip, which finishes at the Edna Adan Maternity Hospital in Hargeisa. Kris leaves Cairo on January 2, 2012, heading south to Aswan (900km intending to walk 30km daily), taking the ferry to Wadi Halfa, walking to Atbara in central Sudan, then heading to the Red Sea. He said he intends to catch a boat down the sea to Dijibouti before walking the final 500km. The Economist Magazine, in its October I, 2011 issue (Democracy in sub-Saharan Africa; It is progress, even if it is patchy), lauded the spread of democracy in Africa in the last decade. In the same article the Economist also listed the peaceful and democratic ousting of several ruling parties by opposition parties. In the same the article listed President Ahmed Mohamoud Silanyo and Somaliland 4th in a list of 34 heads of states and countries that underwent peaceful and democratic change of guard. This is an honour for President Ahmed Mohamoud Silanyo; a statesman who many expect to change the politics of the region. In the same instance, it also included Somaliland; a country which rose; like a phoenix, from the ashes of a destructive civil. In another development, President Silanyos recent visit to the eastern regions of the republic was another commendable and successful step. He extended a peaceful political outreach to both the traditional and political representatives of the Sool and Sanag regions. The model for Somalia is Switzerland. Don't laugh! Political power in Switzerland lies in the cantons - the 26 proud self-governing communities. The state, such as it is, deals with international matters and national law. Who cares - or even knows - who the president of Switzerland is. The way people live and are governed is decided locally. The Swiss confederation means that cantons have joined the state willingly and can leave if they want to. If they were a simple federation, they could not. Somalis - unlike the Swiss but like most Africans - are stuck with a constitution that leaves total power in the hands of a president. Strong centralised states are the legacy of colonial rulers and unsurprisingly the inheritor governments have kept it that way. Terrible wars - such as those in Nigeria, Ethiopia and Sudan - were fought to keep the countries together, but in the latter two they failed. In Somalia civil war began in the late 1980s and since then fragmentation has continued. Good. Leave it that way. It suits Somali society. Abwaanka wayn ee Maxamed Ibraahim Warsame (Hadraawi) ayaa curiyay maanso cusub oo ka warramaysa nolosha, taas oo uu galabta ku soo bandhigay Jaamacadda Hargeysa. Tixda uu Hadraawi soo bandhigayo oo ka kooban in ka badan 600 oo sadar ayaa waxa loogu wanqalay, KALA-GURAN, iyada oo maansadu si qoto fog uga warramaysa nolosha iyo sida ay u lammaan tahay ee ay xumaan iyo samaanba u leedahay. HARGEISA: Drought, famine, refugees, piracy, and the violence and terrorism endemic to the shattered city of Mogadishu, a capital ruined by civil war: these are the images that flash through peoples' minds nowadays when they think of the Horn of Africa. Such perceptions, however, are not only tragically one-sided; they are short-sighted and dangerous.Behind the stock images of a region trapped in chaos and despair, economies are growing, reform is increasingly embraced, and governance is improving. Moreover, with Yemen's government imploding across the Red Sea, the Horn of Africa's strategic significance for maritime oil transport has become a primary global security concern. In short, the Horn of Africa is too important to ignore or to misunderstand. UNHCR recommends granting collective protection for Somali citizens originating in south and central parts of Somalia. In Israel, the ministry’s decision to reject the application was based on out-of-date information. Israel is refusing to grant asylum to four Somali citizens, contrary to the recommendation of the United Nations High Commissioner for Refugees ‏(UNHCR‏). The request for asylum was rejected by the Interior Ministry and is now being appealed in the courts. The UNHCR recommends the granting of collective protection for Somali citizens originating in the south and central parts of the African country ‏(the recommendation is based on a general decision from the committee advising on refugees‏). In Israel, however, the ministry’s decision to reject the asylum seekers’ application was based on out-of-date information. 17-ka Oktoobrar darteed: Taariikhdii SNM-By Prof, Ibrahim Maygaag. Interpeace local partner in Somaliland, The Academy for Peace and Development (APD), organized an event on 2 October 2011 in Hargeisa, to honour the highest-ranking female graduates of both secondary and intermediate schools. This initiative is part of the overall push for female education and empowering women to take an active role in driving the future of Somaliland. The event followed the official announcement by Somaliland’s Minister of Education, Mrs. Zamzam Abdi Adan, of the national examination results for secondary and intermediate schools for the 2010-2011 school year. The objective of this event was to recognize the noteworthy success of Somaliland’s female graduates, who have made an astounding impression this year. The de facto independent Somaliland region, it creates a remarkable way to ensure relative safety and stability. And yet the enclave will be denied, even after her 20-year anniversary of the secession of Somalia. Speaks to the issue of Somalia today, so one usually reflexively words like piracy coming (fight against) terrorism and Al-Qaeda, state failure and collapse, or - very topical - famine and misery in the head. This may be true of the militant Al-Shabaab and the artificially kept alive interim government troubled south. Too often, however, remains unmentioned that has emerged with Somaliland now within two decades, a relatively stable and peaceful enclave in the north of the country. After the state structure of today's Somaliland had initially been under British colonial rule in 1960 it united with the former Italian Somalia to today de jure Somalia. East Africa: Crossing borders (Somaliland/Ethiopia). On the frontiers of Ethiopia and Somaliland, Oxfam, with funding from ECHO, is helping pastoralists move across borders to cope with future droughts. 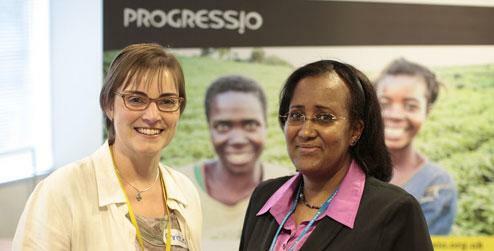 Caroline Berger, Communications Officer in East Africa, reports. Abdullahi sits chewing qat, a mildly narcotic plant, under the shade of the acacia tree where he was born, and surveys his ancestral lands on the borders of Ethiopia and Somaliland. For centuries, Abdullahi and his grandfathers have followed the pastoralist way of life, moving their herds from one place to another in search of fresh pasture. Last week, Al-Shabab, a Somali fundamentalist Islamist youth group with ties to al-Qaida, which controls much of central and southern Somalia, claimed responsibility for the deadly truck bombing in Mogadishu in which more than 85 Somali students died as they waited in line to see if they had won scholarships to study in Turkey. Somalia arguably is the most ungovernable place in the world, and a graveyard for many of the United Nations' unsustainable policy initiatives. But in reality, Somalia is three different entities: Somaliland, Puntland and south-central Somalia, where the current humanitarian disaster is unfolding. Somaliland, the independent, northerly part of Somalia, has shown itself to be a lawful and productive nation, and could be a platform to stabilize southern Somalia, a bulwark against radical forces in the region and a reliable partner to combat piracy in the Gulf of Aden and Indian ocean. Abwaan Maxamed Ibraahim Warsame (Hadraawi) ayaa markii ugu horreysay baaq iyo waano ujeeddo culus xambaarsan u diray Xarakada Al-Shabaab ee ka talisa badiba badhtamaha iyo Koonfurta Soomaaliya. Abwaan Hadraawi waxa uu sheegay in sababta uu dhambaalkan hogatusaaleha ah ugu gudbinayo ururka Al-Shabaab ay tahay mid ku sal leh tolniimo iyo walaaltinimo, isla mar ahaantaasna waxa uu ku macneeyay inay tahay mid si kal-samaan leh uu ugu nasteexaynayo dhalinyarada Xarakada Al-Shabaab...“Waxaan idiin waaninayaa waa tolniimo,” ayuu ku bilaabay farriintiisa oo uu saaka si khaas ah u soo mariyay Mareegaha WEEDHSAN. Tani waa codsi aan si nasteexo leh ugu dirayo dhalinyarada Al-Shabaab,” ayuu abwaanku raaciyay ibo-furkiisa. Abwaan Hadraawi waxa uu sheegay inuu ku qanacsan yahay in Xarakadu aaminsan tahay in aanay diin (Islaam) ahaan bannaanayn in xaqdarro lagu dilo qof Muslim ah, maadaama ururka Al-Shabaab uu sheegay in uu u dagaallamayo diinta Islaamka, isla mar ahaantaasna ay hoggaamiyaan culimo diinta aqoon u leh. John Drysdale oo ah Muwaadin u dhashay dalka Britain, isla markaana in ka badan 50 sano ka hawl galayey Somaliland ayaa Jawaab kulul ka bixiyey hadal ka soo yeedhay Wasiirka Beeraha Faarax Geedoole, kaas oo hadalkiisa ku tilmaamay mid uu iskaga difaacayey xaqiiq dhab ah oo jirta oo is leeyahay qari. John Drysdale oo ah Maamulihii Mashruuca kala xadayn beeraha ee (Somaliland Cadastral Surveys) uu dalka ka hirgaliyey sanadkii 1996-kii uu wasiirka beeruhu ka boobay Mashruucaas oo uu mudo 15 sano ah ka shaqaynayey, isla markaana sameeyey in ka badan 15,000 beerood. John Drysdale oo isagu in mudo ahba Macisii ku badalay Cabaas Idiris ka dib markii uu sheegay inuu Diinta Islamka soo galaya ayaa waxa uu wasiirka beeraha ku eedeeyey inuu u magac sameeyey Shirqool uu tibaaxay inuu kagala wareegay Mashruucii Hay’adiisa Cadastral survey ay Somaliland ka fulin jirtay, kaas oo tilmaamay inuu si uu ula wareego uu sabab uga dhigay inuu John Drysdale xanuunsanayo, kaas oo sheegay inaanu hada waxba qabin. Understanding Somalia/Somaliland. By Ioan M Lewis. - A majority of Somalis are traditionally semi-nomadic herders in a frequently arid environment, depending for survival essentially on the dairy produce of their camels, cattle, sheep and goats. As such, they are no strangers to drought and famine. These severe conditions occur regularly - the last major drought was in April 2006 - and quickly lead to starvation and death among the livestock and the pastoralists themselves. Sheep, goats and cattle, which require the most regular watering, are the first to succumb; camels survive longest and range furthest in the quest for grazing. The basic herding-groups are organised along similar lines. With a flock of sheep and goats, some cattle, and a few "burden camels" to carry tents and other effects, the women and children move through areas where water and grass are available, setting up camp for weeks or months according to local conditions. It seems everyone is keen to find out what is special about Somaliland. Needless to say, it was a relief and a pleasure to welcome Suad Abdi, Progressio’s new Country Representative for Somaliland, here in the UK to host a workshop exploring Somaliland’s much envied secret recipe for stability. We, the Somaliland community of Ottawa, Canada, are extremely disappointed that Mr. John Drysdale be deprived of his UN project that has been given by a deal that reeks of nepotism to the brother of the Minister Hersi. This is extremely shameful and will further highlight the level of corruption of the current government. Furthermore Mr. Drysdale perhaps symbolizes singlehandedly the friendship between Somaliland and the UK and depriving him of his income is an act of ultimate stupidity in the opinion of the Somaliland community of Ottawa. We strongly urge the government to intervene and restore his employment. Abwaan Maxamad Xaashi Dhamac ''Gaariye'' iyo maansadii Hagarlaawe! Somaliland: Waftigii Reer Somaliland Ee Gargaarka siday Oo KENYA Tegay, Deeq Badana u Qaybiyay Qaxootiga Soomaaliyeed Ee Ku Nool Xeraha Kenya! It’s abhorrent that the President of Somalia’s TFG Sheikh Sharif Sheikh Ahmed to be the first high ranking to meet the fugitive Somali-American warlord Suleiman Essa Ahmed on 12/9/2011. The US authorities interrogated the warlord over his illegal and armed activities in the south-eastern parts of Somaliland including Buuhoodle village. The FBI accused the warlord of organizing and sponsoring terrorist group “SSC” which is trying to fight Somaliland Army. The group has links with Al-Shabab, where they receive training on explosive and suicide bombing. In other hand, formation of new warlords in the region will be undermining the efforts of the international community to end the violence and ‘warlordism’ in former “Somalia”. As we know, the international community spend time and money to eliminate the warlords and to stabilize the former “Somalia”. 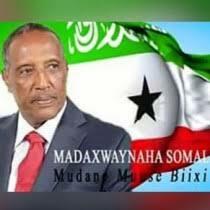 The new warlord Suleiman Essa Ahmed is working tirelessly to destabilize Somaliland democracy and security. HARGEISA, 3 October 2011 (IRIN) - A humanitarian delegation from the Republic of Somaliland donated relief aid for 9,000 drought-displaced families in the Somalia capital, Mogadishu, during a visit on 30 September, the first such visit since the region declared unilateral independence from the rest of the country in 1991. "We plan to distribute food for 9,000 families and medicine for four hospitals," said Hasan Abdi Awed, chairman of Somaliland's Chamber of Commerce and leader of the eight-member delegation. "The food we are distributing will last the beneficiary families for one month." Awed said the Somaliland government had announced in late August that it would participate in the international efforts to provide humanitarian aid to Somalia, which has been hit by famine and drought across most of its south-central regions.